John Ruskin was the original polymath. A leading light in the Romantic movement and an intellectual voice of Victorian Britain, his writing informed the work of authors, thinkers and activists as diverse as Leo Tolstoy, Marcel Proust and Mahatma Gandhi. He championed the artists of the Pre-Raphaelite Brotherhood and tackled many key issues of the Industrial Age, his big-picture clarity helping warn of environmental impact. 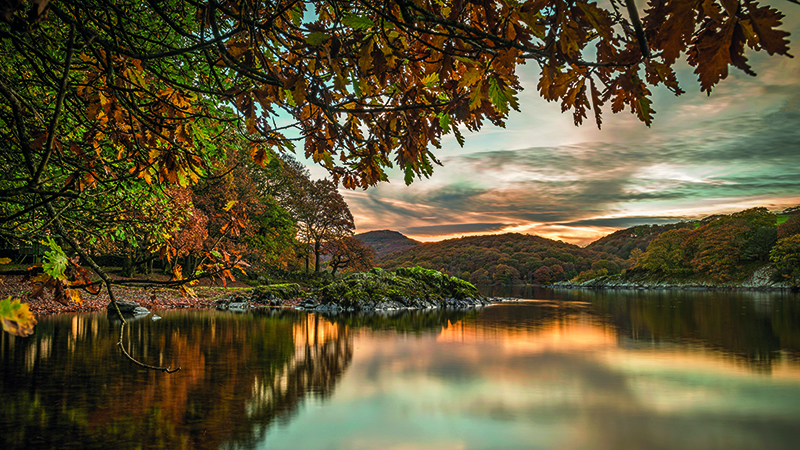 Yet the scholarly gentleman who made his home on the banks of Coniston Water has fallen from fashion in comparison to his fellow Lake District writers such as William Wordsworth and Beatrix Potter. Until now, that is. A series of exhibitions and events, centring upon his Cumbrian home, will mark the bicentenary of his birth in 2019. It’s a chance to explore his legacy, not only on William Morris and the Arts & Crafts movement in Britain but also on the international stage. After all, his eye for aesthetics and championing of artisan crafts inspired the American architect Frank Lloyd Wright and Yanagi Soetsu’s Mingei folk art movement in Japan among others. While the Romantics poets such as Wordsworth and Samuel Taylor Coleridge were the first to craft purple prose about the beauty of the Lake District, a new movement of artists was also discovering Cumbria in the early 19th century. Inspired by Gainsborough before them, Britain’s finest artists of the era, JMW Turner and John Constable, both journeyed north in search of those quintessentially brooding Lakeland vistas. Ruskin picked up their Romantic mantle and evolved it. “He combined Romanticism with a harder look at the social and environmental questions of the day. He understood the connectedness of things — a message still relevant today,” adds Hull. John Ruskin was born in London on 8 February 1819 to a devoted, wine-merchant family, who pushed him academically and countered his poor health with Grand Tour-style trips to take the air in the Swiss Alps. After graduating from the University of Oxford, Ruskin started to build a reputation as a writer and lecturer. His 1843 work, Modern Painters, written at the age of just 24, made his name. It started as a defence of Turner but, extending over five volumes, went on to discuss landscape, religion and art. He would go on to become the first Slade Professor of Fine Art at Oxford, where Oscar Wilde and Canon Rawsley (the latter one of the founders of the National Trust) were amongst the undergraduates. Ruskin’s personal life was more troubled, however. He had married Euphemia Gray, the beautiful 19-year-old daughter of family friends, in 1848. But the marriage was an unhappy one and, at a time when polite society couldn’t countenance divorce, the marriage was annulled some six years later. She was then free to marry Ruskin’s protégé, the Pre-Raphaelite artist John Everett Millais, who had joined them on a holiday to Scotland. It’s a story retold in the 2014 film Effie Gray, scripted by the British actress Emma Thompson. “Hampered by his ill health and overprotective parents, I fear Ruskin cut a bit of a lonely figure,” explains Slowe, as she introduces the museum’s collection, which includes a letter, written by a nine-year-old Ruskin to his father in perfect, copperplate handwriting. 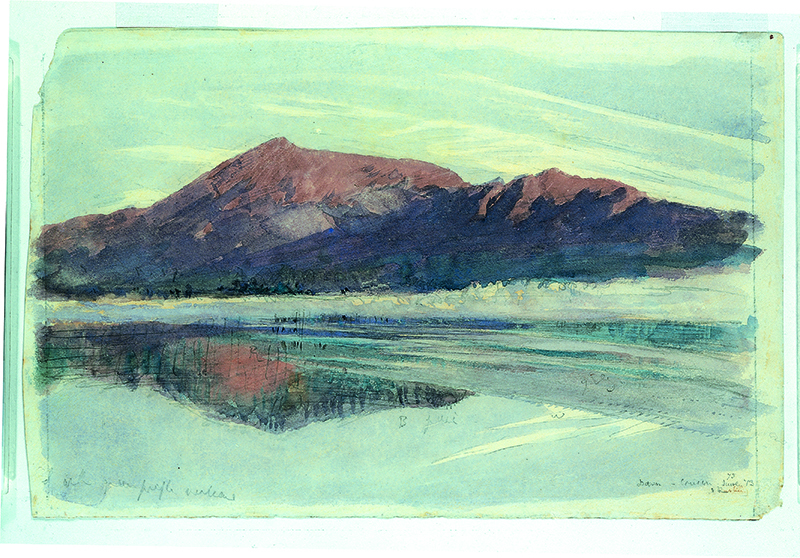 Ruskin’s move to the Lake District, following his mother’s death in 1871, marked the beginning of a golden period in his professional life. It remained his main home until his death in 1900. 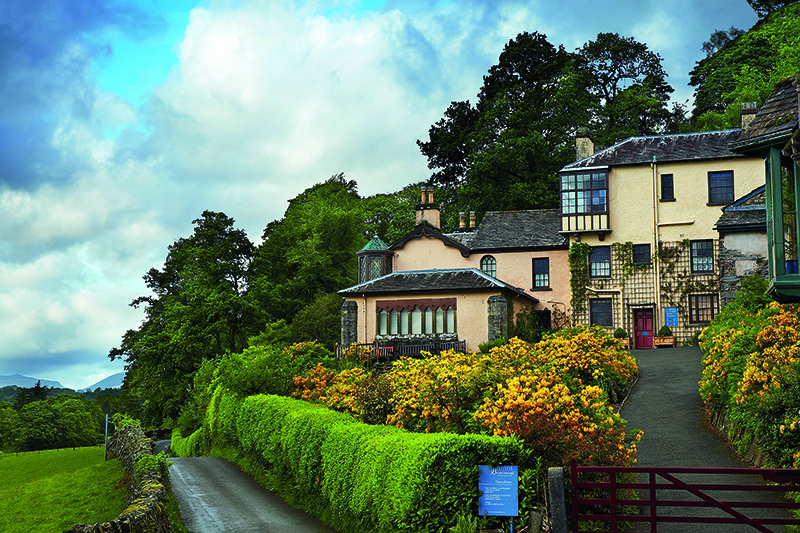 Today Brantwood, set in a 250-acre woodland estate on the eastern side of Coniston Water, is a testament to his aesthetic tastes in architecture, gardening and design. Badger’s Cottage, a converted staff cottage within the grounds, can be rented through The Coppermines and makes the perfect base for exploring the location that inspired Ruskin to write some of his most profound work. Read the full article in issue 208 of Discover Britain.